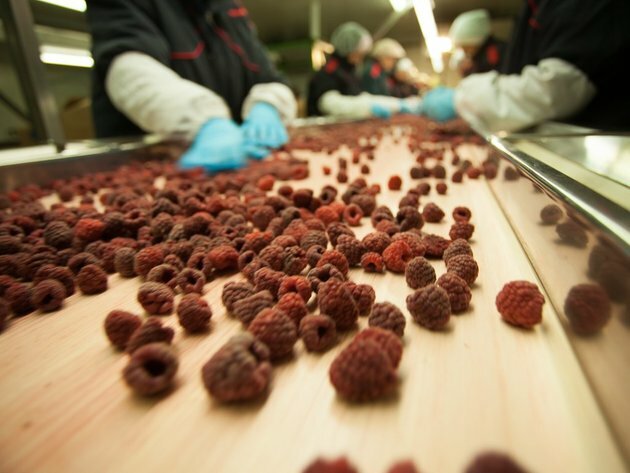 During a five-day visit to Serbia, six German companies expressed great interest in the buyout of organic products, that is, locally grown, organic, frozen raspberries, blackberries and strawberries, announced the German Agency for International Cooperation GIZ. The visit of the German delegation was organized by the Center for Organic Agriculture of the Chamber of Commerce of Serbia, with the support of GIZ, as part of the program of German-Serbian development cooperation – Private Sector Development in Serbia (PSD). – German partners find the traceability of the product important, that is, the possibility of following the production process from the farm to the finished product. Products such as raspberries, but also fruit purees and concentrates are in great demand in the EU market and are suitable for export – explained Thorsten Pieche, an expert with IPD, an initiative which brings together German companies which import products from all over the world. Heading the delegation, Pieche pointed out that the Serbian companies they had visited on that occasion had great potential for cooperation with Germany. PSD, in cooperation with IPD, supports the export of organic products of Serbian companies to the EU market. The visit of German companies interested in buying out organic products was only one in the range of activities carried out within the program, aiming to increase the number of direct meetings between business people from Serbia and Germany (B2B meetings) and to strengthen the market potentials of organic producers from Serbia, both in the foreign and the local market, the press release adds. In addition to the demand for organically produced frozen fruit, which was confirmed during the visit, Serbia also has great potential for the export of organic grains, which was proven at the biggest organic agriculture fail, BIOFACH, held in early 2018 in Germany.